The Book of Deuteronomy is the fifth book of the Bible and is the final book of the Pentateuch, a term used to described the books of the Bible attributed to Moses. 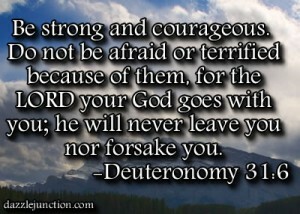 Deuteronomy is the fifth book of the Jewish Torah and the Christian Bible. It is the final book of the Pentateuch, a term used to described the books of the Bible attributed to Moses. Most scholars agree that Deuteronomy was written around the 7th century, B.C. Written close to Moses’ death, the book record the words Moses spoke to the Israelites while they were camped on the east side of the Jordan River (Deuteronomy 1:1). Deuteronomy contains three of Moses’ discourses as he prepared the Israelites to enter the Promised Land. The first discourse (Deut. 1:6-3:29) is a survey of the journey from Mount Sinai to their current position. In the second discourse (Deut. 4:1-40), Moses reminds the Israelites of their unique relationship with the Lord God and commands them to obey God. The final discourse (Deut. 5-26) begins by reviewing the Ten Commandments (Deut. 5:6-21) and through chapter 11, Moses explains why it imperative that Israel follow the law. The final section of the third discourse is referred to as the “Deuteronomic Code” which contains instructions for observances such as the Feasts of Tabernacles, Unleavened Bread, and Weeks, as well various social and domestic laws. The last chapters of Deuteronomy contain the renewal of the covenant, final exhortations from Moses, and the appointment of Moses’ successor, Joshua. The book ends with a final prophetic poem from Moses and a description of his death. This final addition to the book along with some differences from the previous four books of the Pentateuch lead scholars to believe that an unknown author may have completed or written Deuteronomy. Because of this, modern critics believe that the book may have been written much later than originally thought. Jeremiah - The Book of Jeremiah is largely a biographical story of one of God’s prophets, though the messages that can be found in the text have been carried throughout generations. Kings - Kings was originally constructed as a single book but over time was divided into Book I and Book 2, continuing the history of Israel and their kings, and telling of the sins and retribution of the people of Israel. Mystery of the Bible - Mystery of the Bible Research Papers review the film by A&E that discusses the nature of Bible as it relates to religion. What is Sin - Original Sin Research Papers delve into the Catholic definition of this term, and how it effects all the descendents of Adam and Eve. Jewish History research papers look into the history of the Jewish people that dates back to around 1200 BCE. Christianity research papers outline the origin of the religion. Paper Masters writes custom research papers on The Book of Deuteronomy and discuss the fifth book of the Jewish Torah and Christian Bible.